In 1974, Richard Darwin and partners founded Hermetic Seals in Chelmsford Massachusetts. The firm was established to provide crystal holders for the rapidly growing telecom industry. The corporate name was changed to United Glass to Metal Sealing, Inc. in 1975. In 1979, Richard Darwin acquired control of United Glass and immediately increased product lines to include Semiconductor, Microwave and Medical applications. 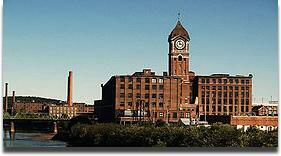 In 1998, United Glass moved to a facility in Billerica Massachusetts, and in 2006 relocated to the historic mill-town of Lawrence Massachusetts. At the death of its founder in 2006, the company was acquired by Richard's son-in-law, Paul Sullivan.